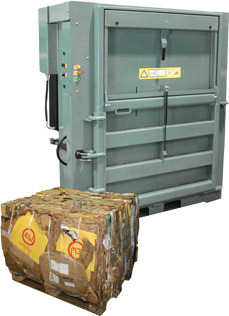 The TT300 is a low height large baler, suitable for environments with restricted height. Easy to transport and install, with no on-site assembly required, the TT300 is ideal for baling card, plastic, polythene and paper. The TT300 has a wide opening for handling large boxes, and the chamber is equipped with barbs which helps to keep even the most voluminous materials compacted down.